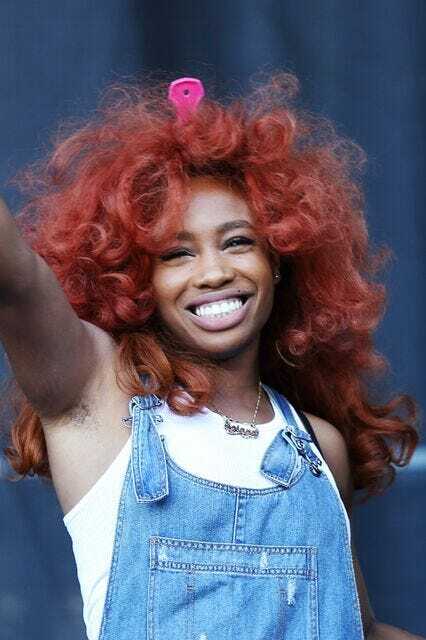 SZA is an American R&B singer and songwriter. She is also credited as Solána Rowe. She was born in St. Louis, Missouri, and later moved to New Jersey. Her father is Muslim and her mother is Christian, and she was raised Muslim. She has said that a DNA test also showed her to have Irish and Polynesian ancestry. Maybe that Polynesian part could mean she has some ancestors from Madagascar? She should post the whole DNA test to have a clear view about that. If she scored 0,1% Polynesian I would not pay much attention for it. No, it’ s called genetic noise. The story is probably as fake as her freckles. I know this isn’t a gossip site, but she lied about her freckles, she lied about her degree, she lied about her hair being natural, i honestly wouldn’t be too surprised if she lied about this, because she seems like a patological liar. Like, it’s not necessary, so why lie at all? I don’t think anything. It’s the black women of the internet that spotted her leave out in some of the photos. I’d say they know more about that stuff than me or you. But it was hillarious that she made a video about her natural hair regimen while not actually showing her natural hair. Ugh, I need to get off of ONTD. @bablah I am a black woman and her hair in the pic looks real. I believe her natural hair is long and thick. Some black women will call anything a weave out of jealousy. Look at that pic, you can clearly see her real hair is a different colour and less shiny.